Excellent quality, heavy, yet pliable, this 100% polyester felt is similar in every way to traditional wool felt. 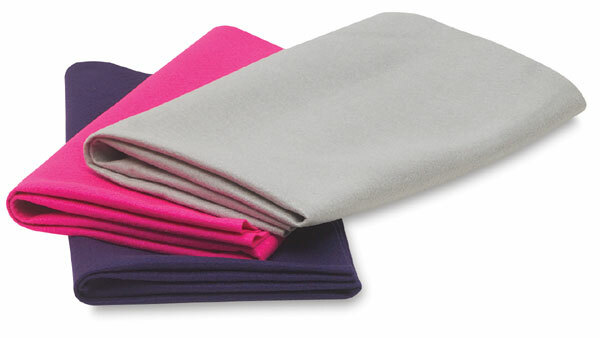 This polyester felt is non-allergenic. It's perfect for all fashion and home decorating craft projects. Easy to sew or glue with no raveling edges. Sold by the yard. Note — All colors are 100% polyester except Red which is 50% polyester and 50% acrylic.